I spent almost the entire weekend just resting, almost doing nothing but somehow, I still feel really tired. To make things worse, I was not productive at all with the DIY projects and house chores I had in mind. I blame it on the weather! Heat + Humidity + Haze = Unproductive. Anyway, it's already another work week. I'm hoping it'll pass just as quickly as the weekend did. I'm going to be swamped with work this week, largely because it's going to be quite a short one for me. I'll be away on an office retreat on Friday. At least that's something to look forward to. Let's hope things get better for the both of us next week onwards, shall we? 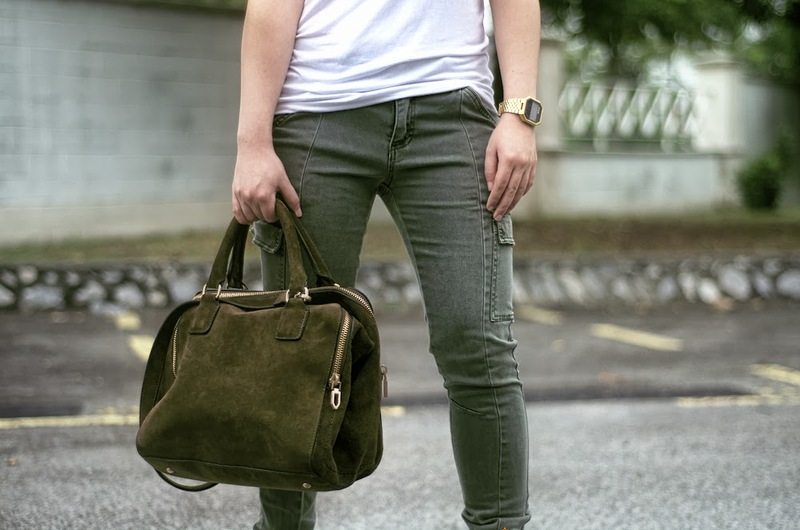 I'll leave you with some weekend outfit photos. Since it's hot all year round here where I live, you can never go wrong with a plain white t-shirt. 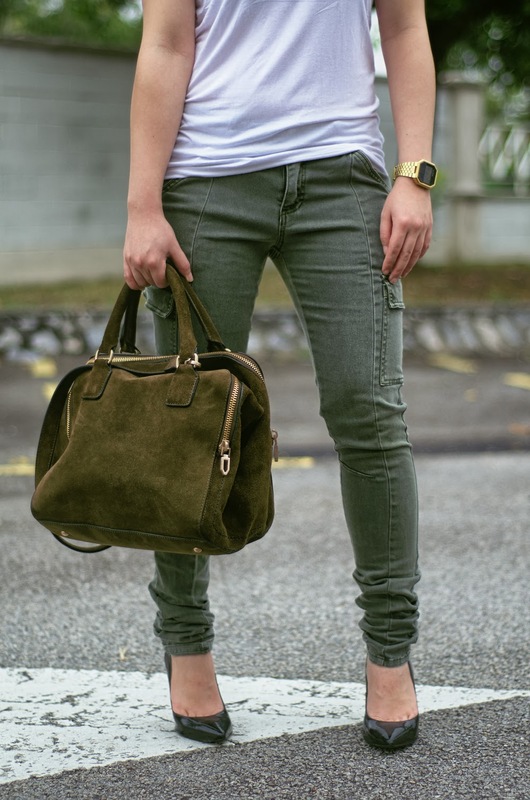 Here, I paired my current favourite white tee with this uber comfy military pants. I got them ages ago from a Dorothy Perkins sale. I would've layered more jewelry but the humidity makes doing that quite impossible.